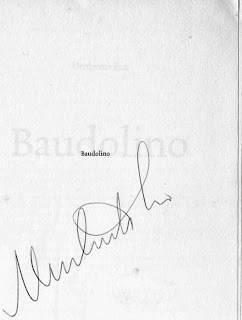 In 2002, Umberto Eco was in Brussels for the graduation ceremony of the continental students of the Open University. The OU honored the author and philosopher with an honorary degree for his renowned contribution to the arts and sciences. 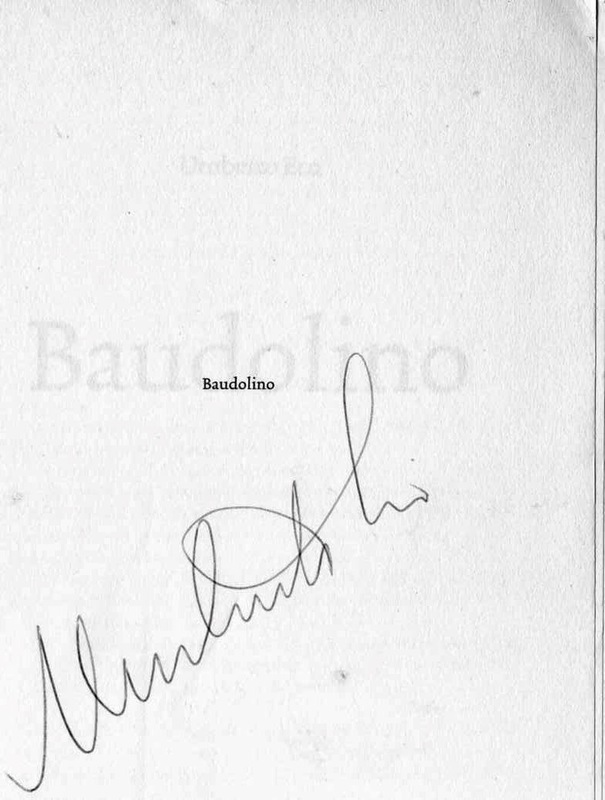 When I heard he would be the guest - speaker, I made sure I had my paperback Baudolino with me. At the end of his speech ( about how the world wide web could be a threat to serious academic research ), I managed to greet him, exchange a few words and get his autograph.